Could Snapchat Be the Best Way to Keep a Private Journal? The point of journaling is to keep a record of past events, feelings, and achievements. You’re then able to look back on these, either to reinvigorate memories or to learn from what you’ve jotted down. Since 2011, the idea of “looking back on” what we capture in Snapchat went completely against what the app was about. Snapchat was about a relaxed way to share “snaps” (images or short videos), with the promise they would be completely deleted 24 hours later. “A new way to save Snaps and Stories on Snapchat. It’s a personal collection of your favorite moments”. This is at heart a personalized album of snaps that you can save for after-the-event sharing and browsing. 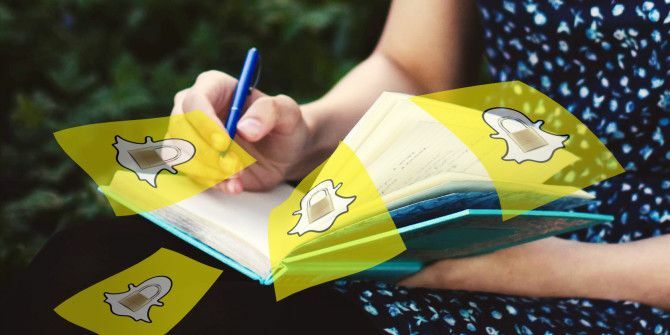 I wrote a complete guide to using Snapchat Memories How to Use Snapchat Memories: Everything You Need to Know How to Use Snapchat Memories: Everything You Need to Know Snapchat Memories is a key component of Snapchat, but do you know how to use the feature effectively? Read More that you might find useful. If you’ve never found a reason to use Snapchat yet, this might be it. 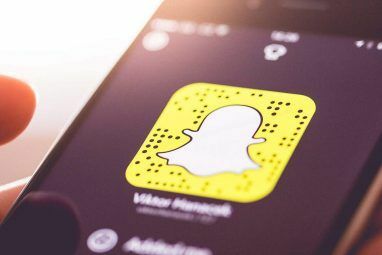 What’s exciting here is that you can now use Snapchat’s features — creating and editing short form videos, overlaying text, emojis, filters, organizing snaps into Stories etc. — without actually sharing your Stories with anyone. They can remain completely private. This makes for an entirely uncommon way of private journaling. Why Would You Journal with Snapchat? The process of journaling covers many formats. What is common among all of them is the “recording of expressive communication“. This could be scrawling and doodling in a paper diary. It could be through a dedicated journaling app Meet Journey, A Beautiful Journal App For Chrome And Android Meet Journey, A Beautiful Journal App For Chrome And Android Android and PC users have long had to look on jealously while Mac and iOS users get beautiful journaling apps like Day One. Journey, a new app for Android and Chrome, ends the forlorn looks. Read More , or it could simply be a bullet journal in Evernote How to Use Evernote as a Bullet Journal How to Use Evernote as a Bullet Journal There are many ways to use calendars and to-do apps. Take Evernote, a journaling system called the Bullet Journal, and no coding experience whatsoever, to create a completely tailored organization system for yourself. Read More . Snapchat is special because it has been designed precisely to help with this “expressive communication”. A picture may be able to speak a thousand words, but a snap, complete with all add-ons, can speak a million. Imagine the story in the video below as a “private journal entry” to see what I mean. It’s so much more than just a few paragraphs of text, or even a simple photo album. It’s an immersive, multimedia experience that until now, has always been pretty hard to create. So, with a Snapchat journal then, you’re not only opening yourself up to all the benefits that journaling brings Start this Simple Habit to Rocket Your Productivity: Journaling Start this Simple Habit to Rocket Your Productivity: Journaling Journaling is an underrated career tool and a core habit of many successful people. From increasing productivity, to maintaining accountability, we explore why you should consider introducing journaling as a productivity tool into your workday. Read More (stress reduction, self-discipline, etc.). You’re also giving yourself a powerful, emotive, and immersive way to look back on events in your life. A single paragraph entry in a diary about your graduation can now be a multi-dimensional Snapchat Story that you can look back on in 10 years’ time. It’s quick and easy to keep track of your workouts at the gym by snapping a photo of your weights and times, along with some overlaid text saying what exercise you were doing. A photo album of your recent vacation can now be a mixture of customized photos and videos that you can watch as a story whenever you want to re-live those moments. It’s also a simple and fun way to track your time on the go, so you can see how your time is being spent, and where all those hours are going. A Story is a collection of Snaps that you group together to watch as one stream. When it comes to journaling, you should probably have one Story for each event (that could be an entire day, or a project, etc.). If you wanted to, you could make these Stories public by publishing them to your Snapchat account, or sending them to your individual Snapchat friends. But this article is about creating a private Snapchat journal. Go ahead and use Snapchat as you normally do. Create a snap, add some fun emojis, filters, etc. to it, but just before you publish your Snap like normal, click on the Download button at the bottom of the screen. If you’re also making your snaps public, you can click the download button next to My Story in the Stories tab. This saves your Snap to the Memories tab within Snapchat, without making it public (you can always make it public later if you wanted to). You can access the memories tab to view your saved snaps and Stories by swiping up from the main Snapchat camera screen. Keep creating snaps and saving these to Memories. Each Snap should be an event, thought, or comment that you want to add to today’s journal. By the end of the day, you’ll have a collection of individual snaps, ready to be quickly compiled into a Story. To do this, from within the Memories tab, click the Select button at the top right of the screen. Then select each of the individual snaps (and pictures from your camera roll) that you want to add to your Story. Once you’ve selected them all, click the circular + button. You’ve now created your journal entry — a private video that captures today’s moments. The Story will be the circular image in the Memories tab (individual snaps are displayed as rectangles). To edit your Story, long hold your Story’s icon. From here you can swipe left and right between each snap within the Story. Remove the snap by clicking the trashcan button. Edit the snap by clicking the pen button. If you click on the My Story button, you’ll also see an option to Name Story, and even Delete Story. When naming your Story, make sure you choose a descriptive name and include the date the Story was made (like you would with any journal entry). Snapchat Memories has a cool feature called “My Eyes Only“. This is where you can move your Stories and Snaps into a passcode protected folder. This means that if someone else is using your phone, they won’t accidentally stumble across your private journal entries or more sensitive snaps. To move your new Snapchat journal into that private folder, from the edit screen, click on My Story, then click Move Story to My Eyes Only. Snapchat backs up each of the snaps and stories you save to Memories using Google’s reliable App Engine Cloud. This means that if you lose your phone, you can download your saved Memories to your next phone once you sign back into the app. Note that if you lose the passcode to your My Eyes Only folder, there’s nothing Snapchat can do to recover those memories for you. If you would rather store these Stories/journal entries elsewhere, though, this is easy enough. Long hold the Story you want to export, click My Story, then click Export Story. You can now choose where you want to send your story to. You can send this direct to your email, save to your camera roll, Evernote, OneNote, or upload to a cloud storage solution you’re signed up for (Dropbox, iCloud, etc.). 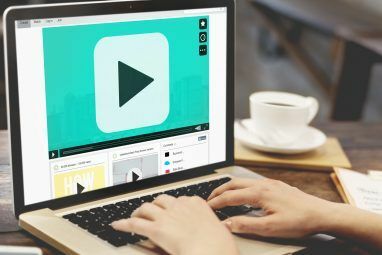 Your Story will be exported as a video. Kind of like your own private vlog, ready to be watched whenever you like. The simple routine of keeping a journal can help you better process the day’s events. It’s also a great way to look back at specific days to see what you were up to, and who you were spending your time with. These Snapchat journal entries can also be looked back on to show your personal journey to achieving a specific goal (life logging 20+ Fun Ways to Start a Lifelog in 2016 20+ Fun Ways to Start a Lifelog in 2016 There are more ways than ever to start lifelogging in 2016, so we take a look at some of the best apps, services, and gadgets that can help you. Read More ). You could actually watch your progress as you train for a marathon, complete with photos, videos, and personal bests, for instance. Like a micro-documentary, if you will. Maybe, take some inspiration from the Giveit100 website. The options are only limited by your creativity. Of course, Snapchat journaling won’t be for everyone. It is a little more time consuming than some other forms of journaling. But the possibility of recording so much more than just a photo or a short piece of text may well make it worth it for you. What do you think? Will you be starting a private Snapchat journal? Explore more about: Photo Sharing, Record Video, Snapchat. I'm actually using Snapchat since they introduced Memories. The destructive aspect was holding me back to really using this app before. I'm using more and more Memories to replace my picture and text journal in Day One. Game changer for me ! If it's on the Internet, it won't be private by definition. In this case, private means it's only visible to yourself.